The Summer months are here, and for some of you that means graduation, celebrations and the prospect of finding work. Some people may know exactly what they want to do for their next stage of life, while others have not yet decided. Beginning your working life can be liberating, you become more independent and feel fully a part of the adult world. You may make new and wonderful friends, discover skills you never knew you had and be inspired to try different aspects of working life or even travel abroad. The opportunities are many and varied. And of course, vitally – you can earn your own money! But what makes us happy in our work? Fortunately nowadays we are no longer trapped in the position of having to stay in one job for the rest of our lives. What you do over the next few years, may be entirely different to where you might be in 10 or 20 years’ time. We can gain skills and experience wherever we are and transfer them to other positions. So variety might be the spice of life for you, or perhaps you prefer a steadier and more secure path? The Japanese have a word to encompass how we can find happiness in our work, it’s “Ikigai,” essentially it means ‘a reason to get up in the morning’. 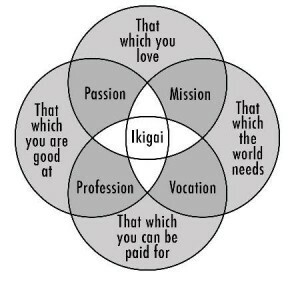 The diagram shows us through interconnecting circles how we can achieve Ikigai, right in the centre, through finding meaning and purpose in what we do in everyday life. It is possible to feel purposeful in any role we may take on, we just have to be aware and notice it. 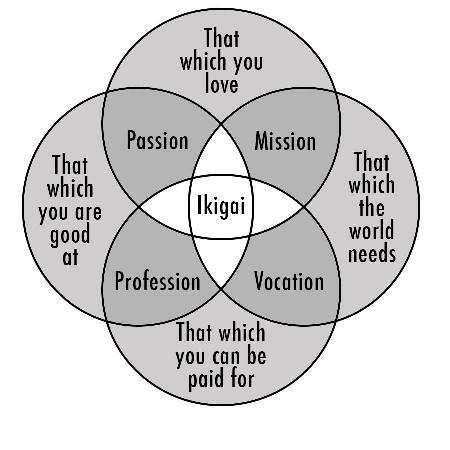 It may not be easy to hit upon one job that can provide us with all the Ikigai criteria, but it is possible to choose one form of work that offers us a couple of them, whilst another or even a hobby provides us with the rest. The key is to find balance and fulfilment for a healthy, mindful and creative life. So when you say your good-byes to the University of Reading, there may be normal jitters about the unknown challenges ahead, and hopefully there will also be exhilaration for the opportunities and experiences you may seize along your way. 3 VIPs, one very important message! Do you know what is happening in March?